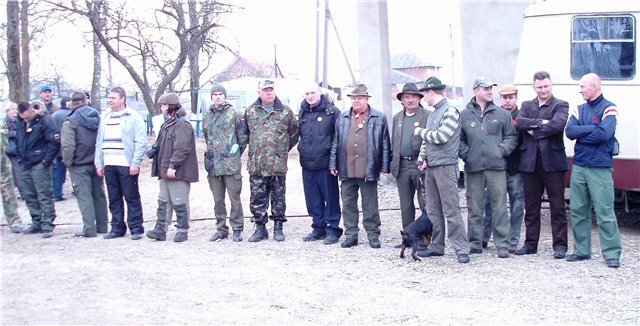 Hospitable performs in neighbouring town in K.Ł. 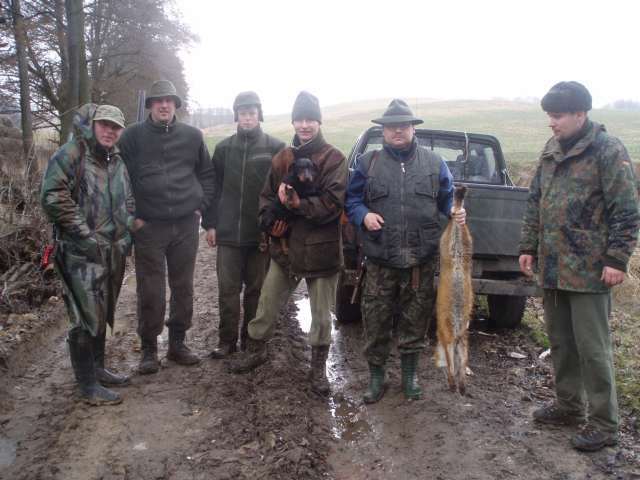 nr 141 ROGACZ in Piechcin. 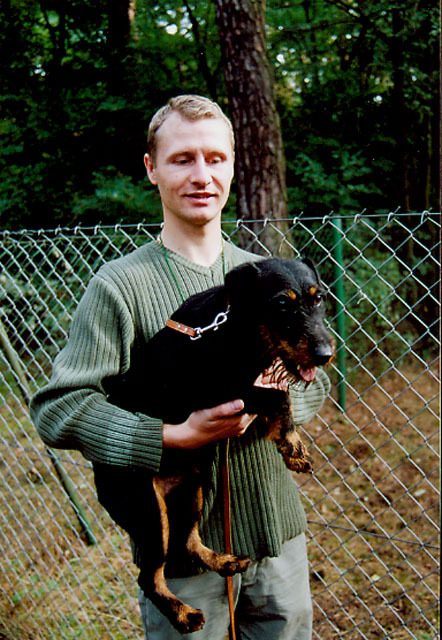 K.Ł. 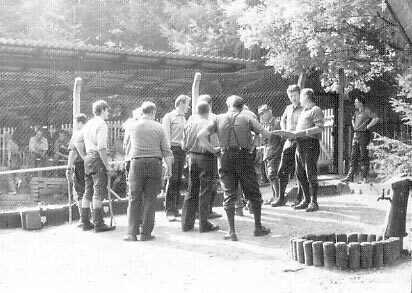 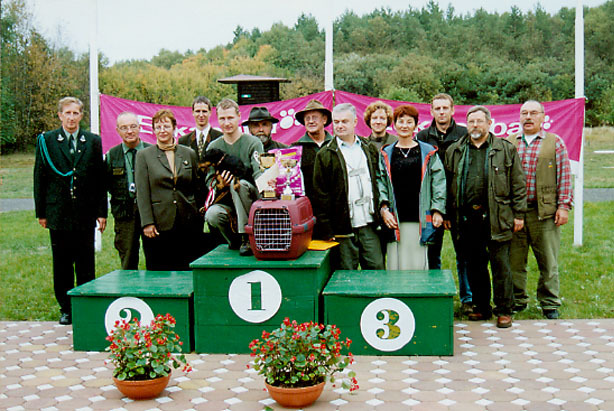 82 KNIEJA in Łabiszyn (6 foxes are halling prey to STELLA Rosada, DONA, NOXA od Imbergera)	The International Earthdogs Competition in NRD in 1987. 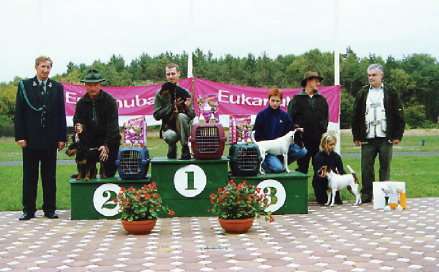 The International Earthdogs Competition in NRD in 1987. 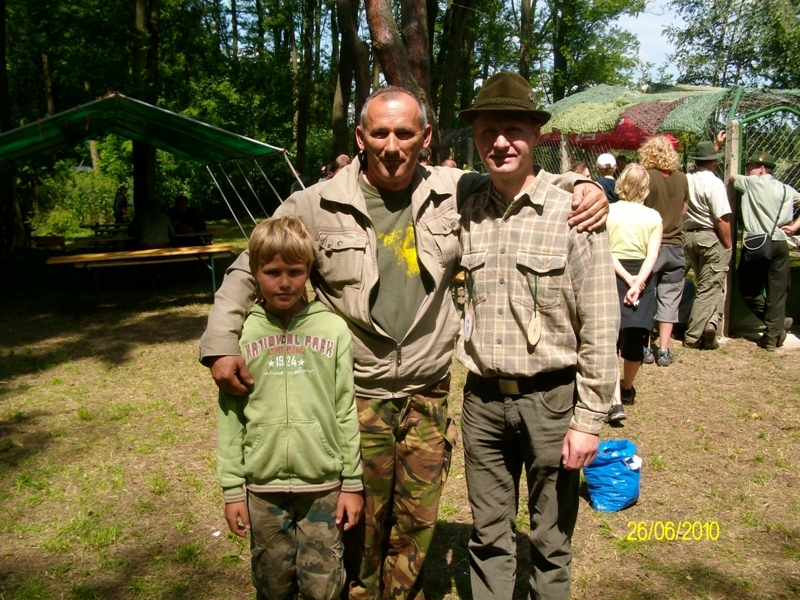 SAMBA Lisia Przygoda (F.WIKI Rogowskie Jeziora, M.NOXA od Imbergera). 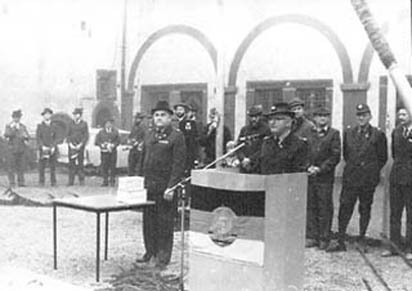 SZEJK Lisia Przygoda(F.WIKI Rogowskie Jeziora, M.NOXA od Imbergera). 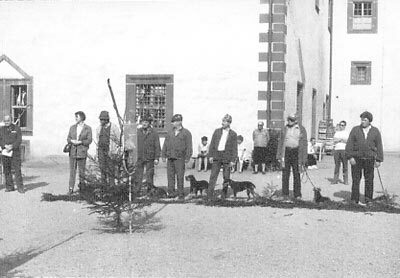 PARYS Lisia Przygoda(F.WIKI Rogowskie Jeziora, M.STELLA Rosada). 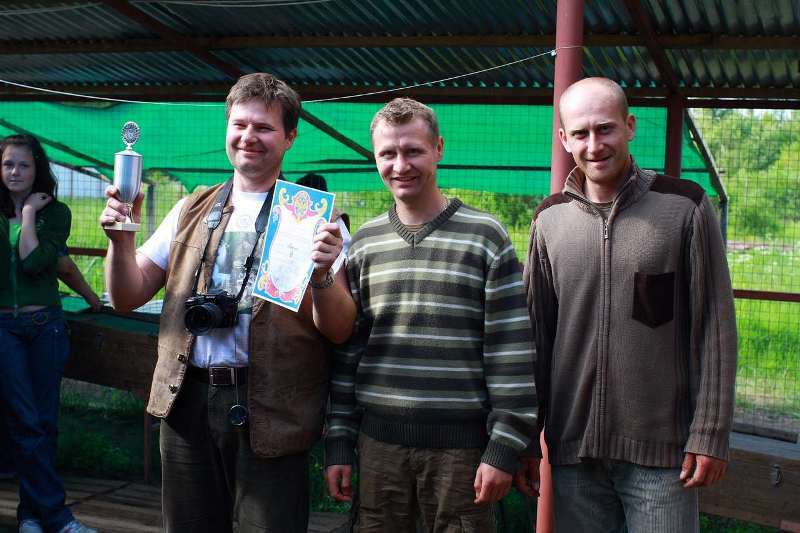 Darling rescue ( digging out Hessy Vapec and Wiki Rogowskie Jeziora, which got stuck In the pipes). 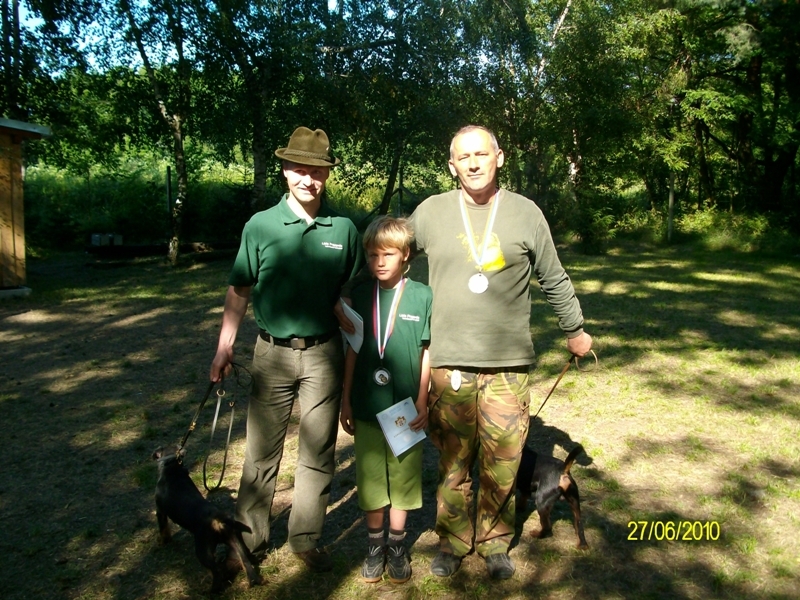 I have picked up medal and C.A.C.I.T. 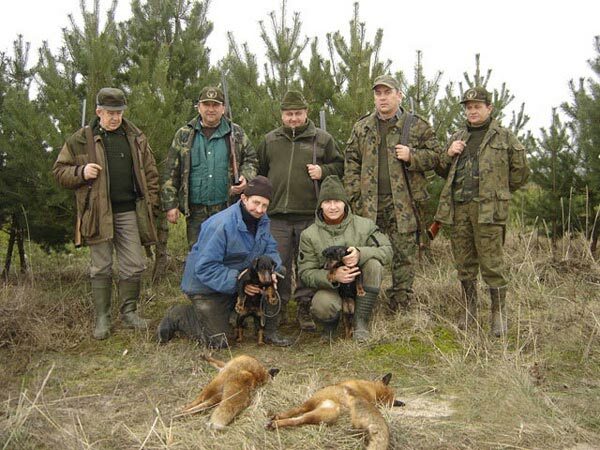 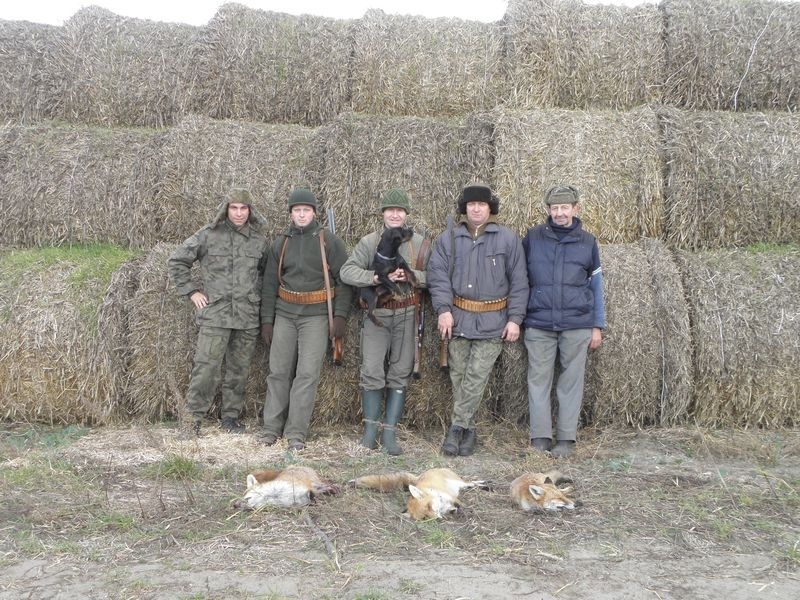 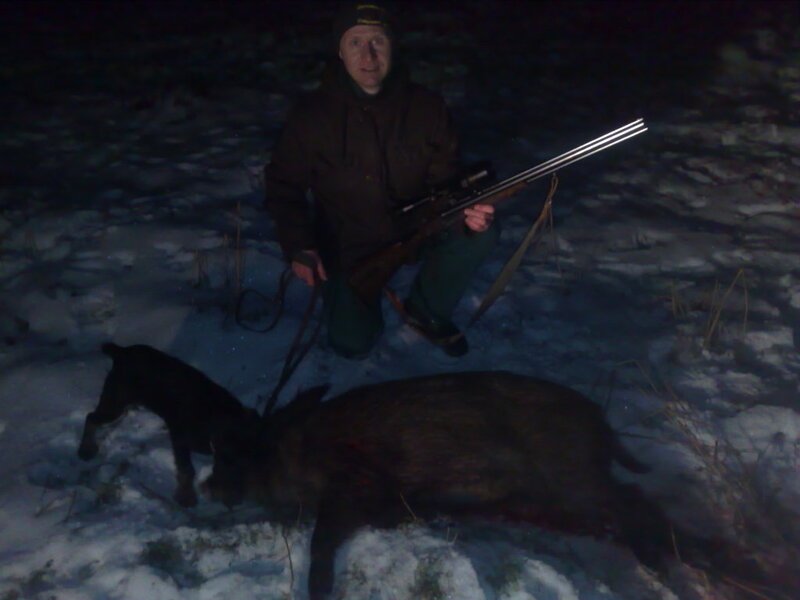 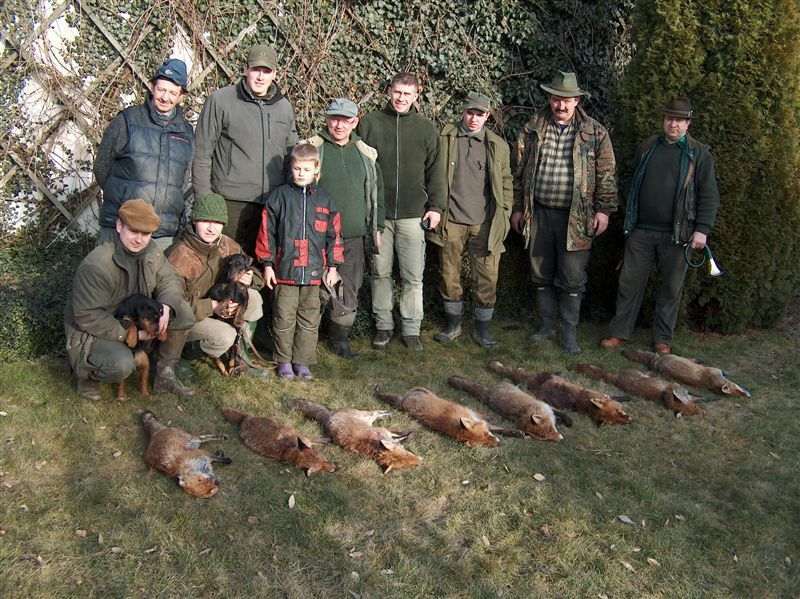 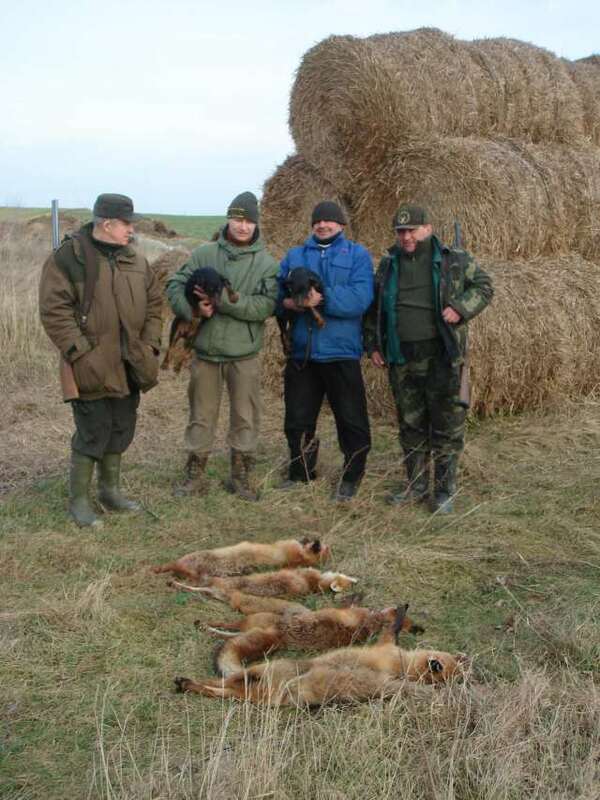 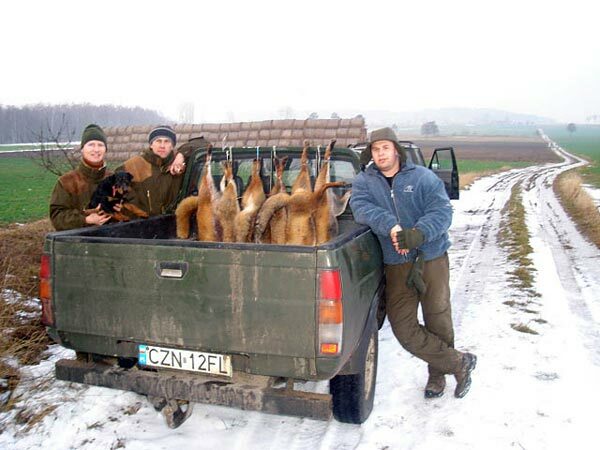 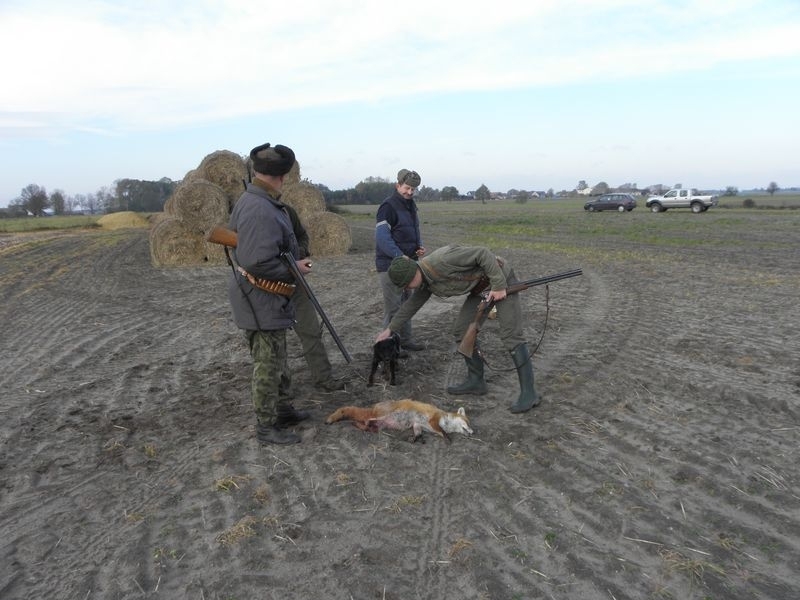 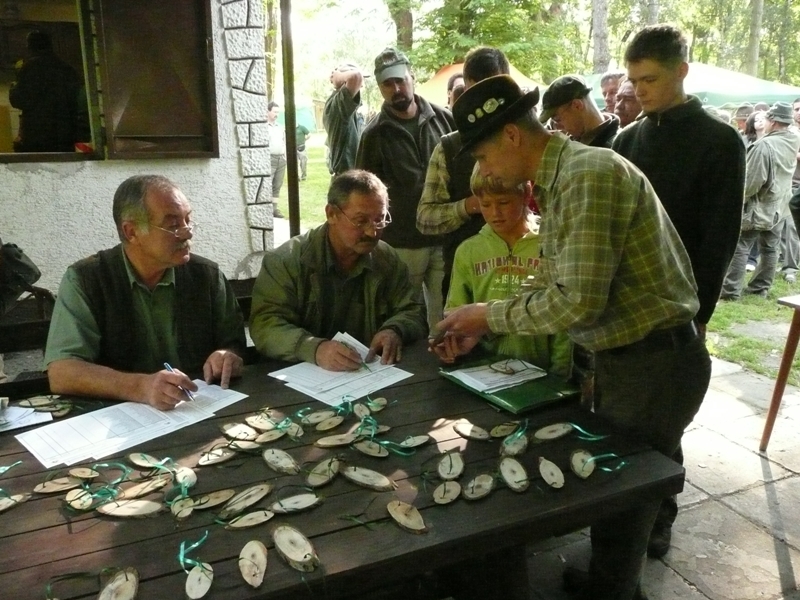 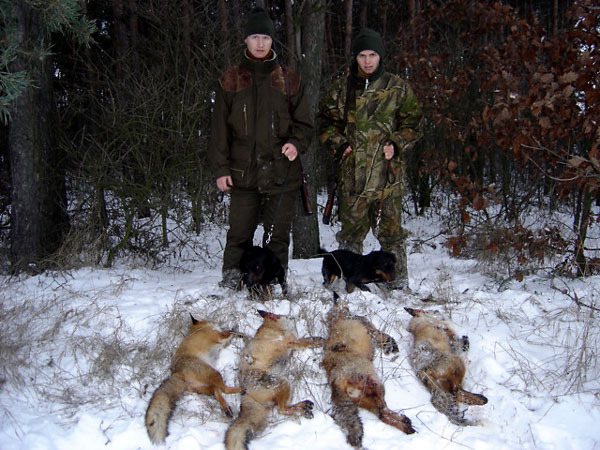 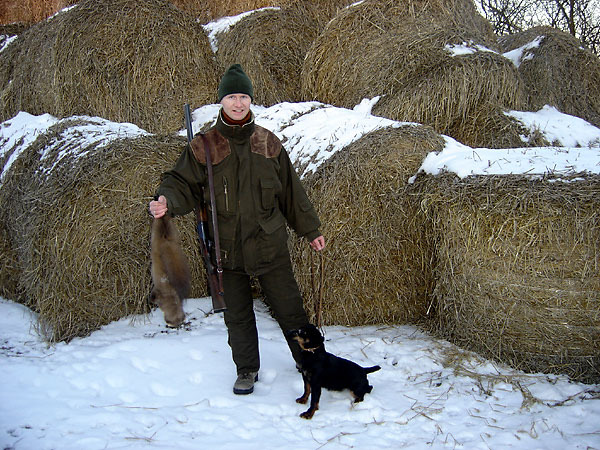 from President of the Jagdterier Club in Slovakia. 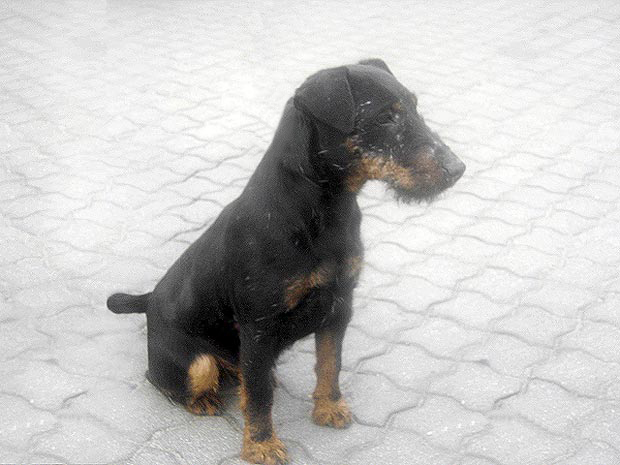 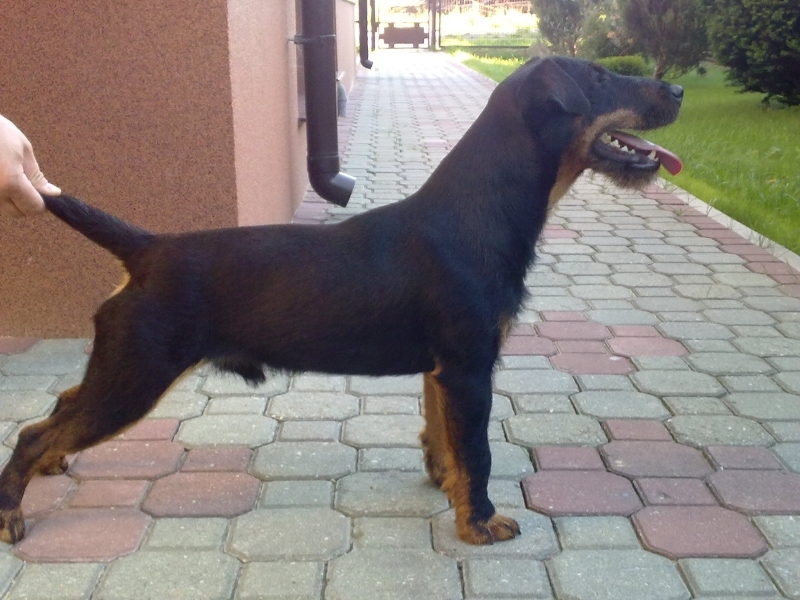 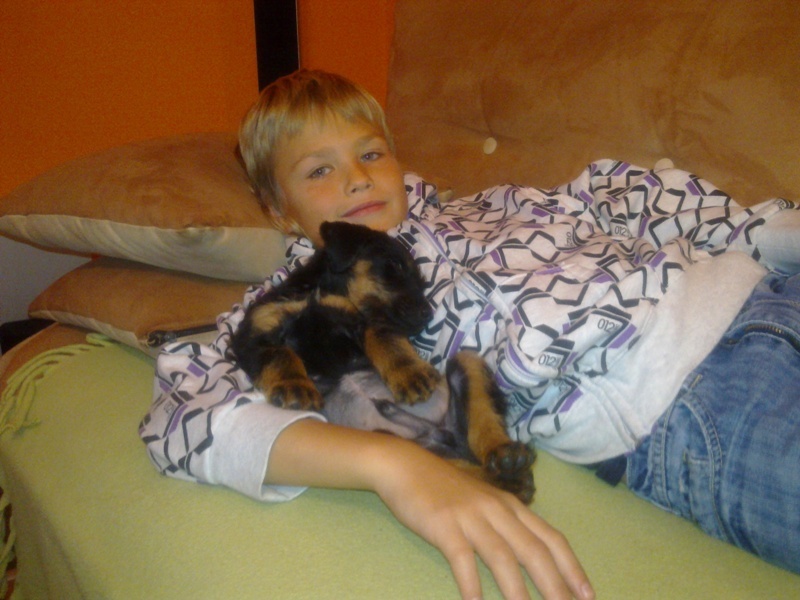 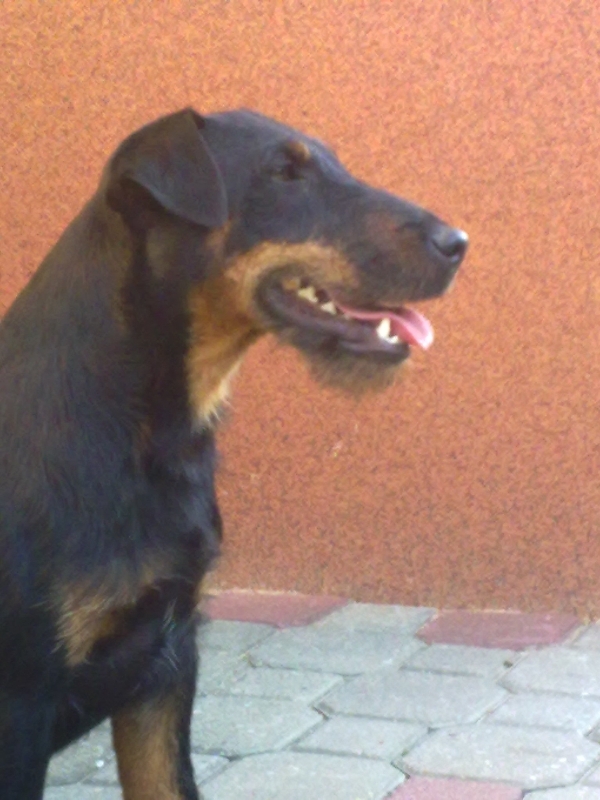 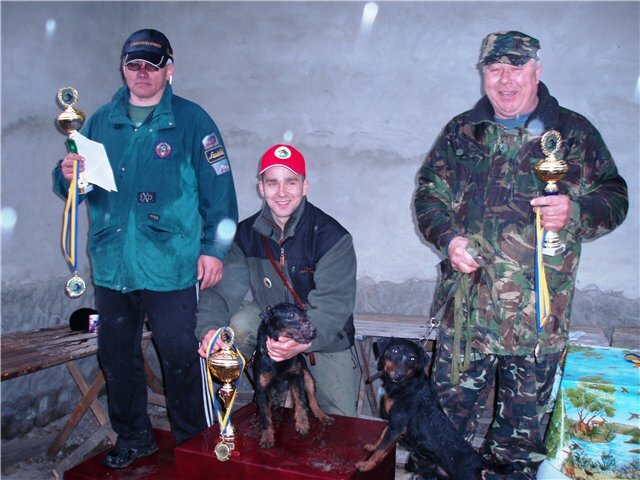 The medal was for Dona during International Earthdogs Competition in Lucky in Slovakia in 2007. 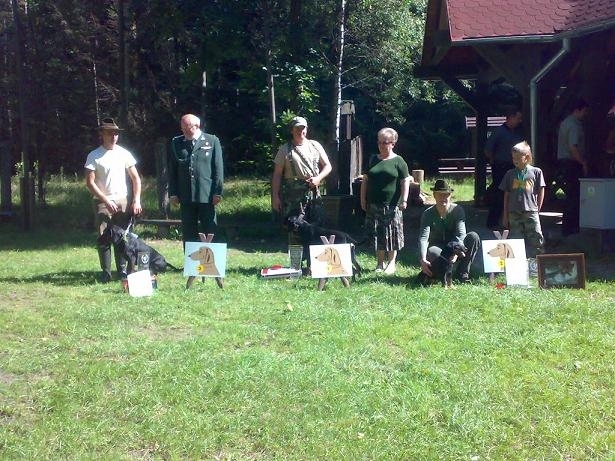 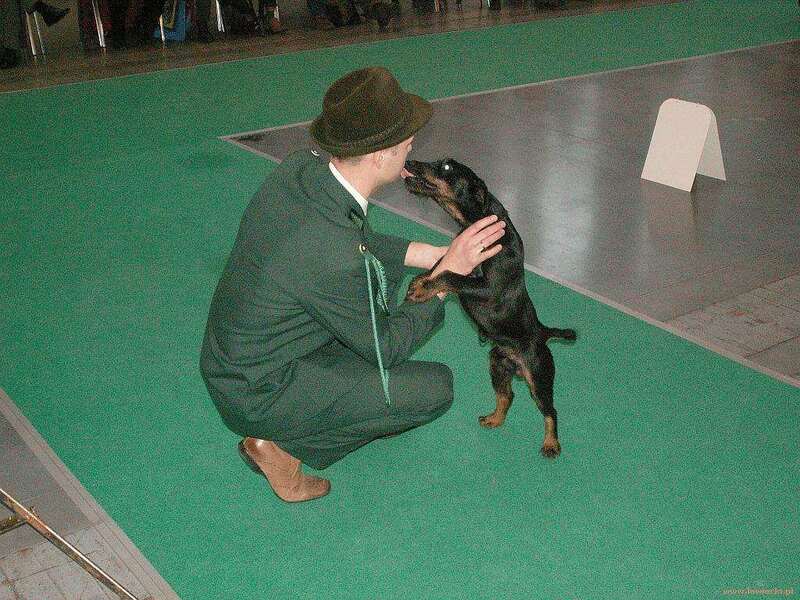 Polish Team on the International Earthdogs Competition in Lucky in Slovakia(I knelt first on the right with Dona.). 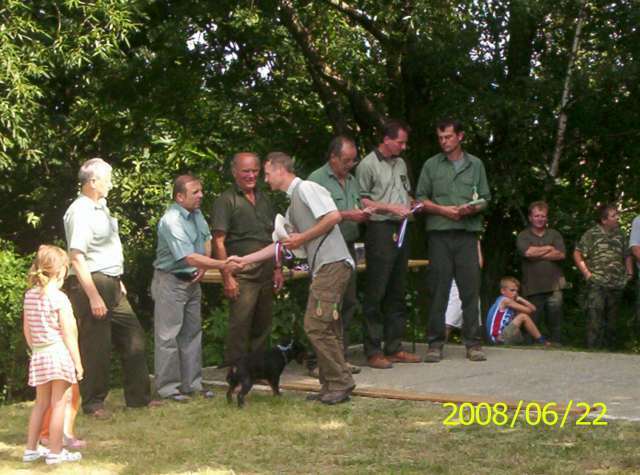 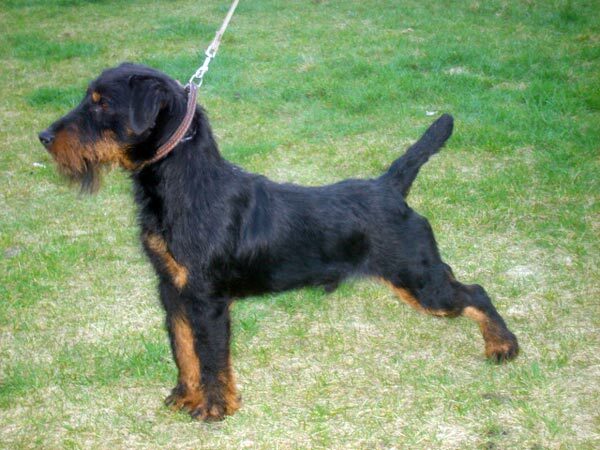 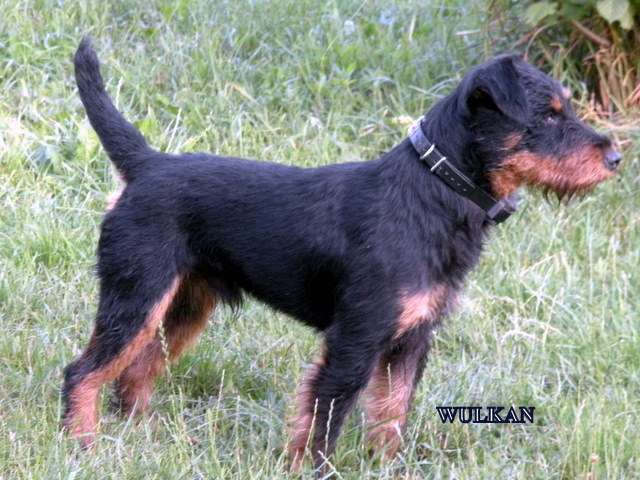 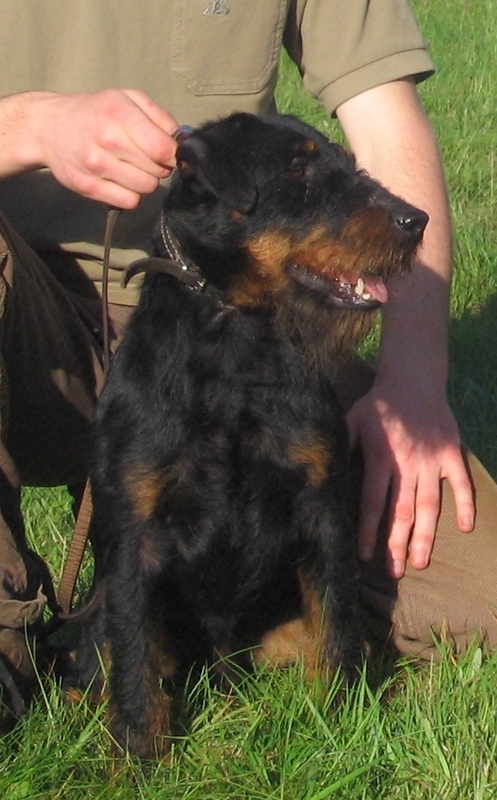 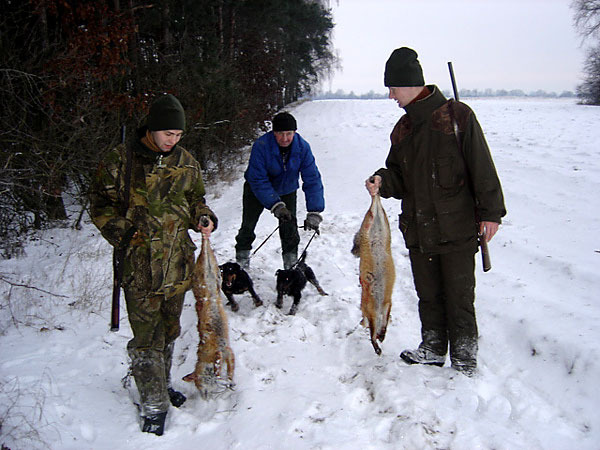 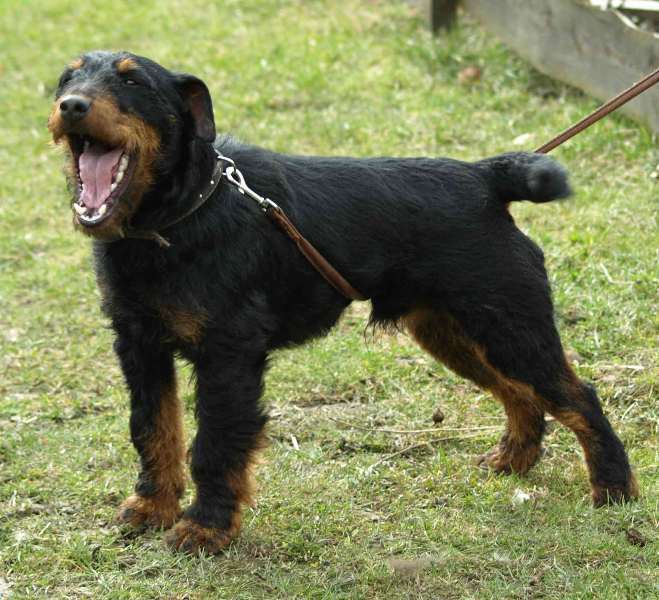 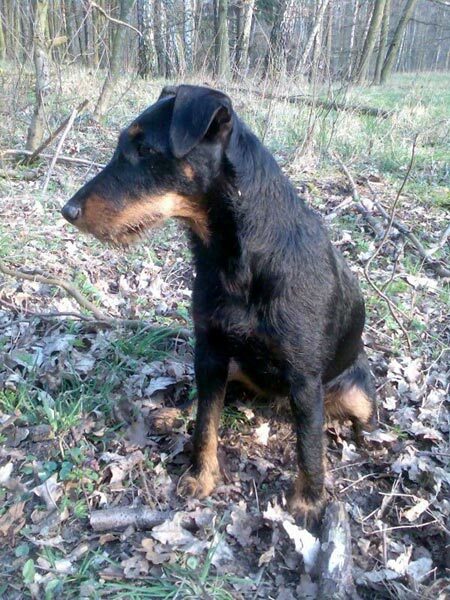 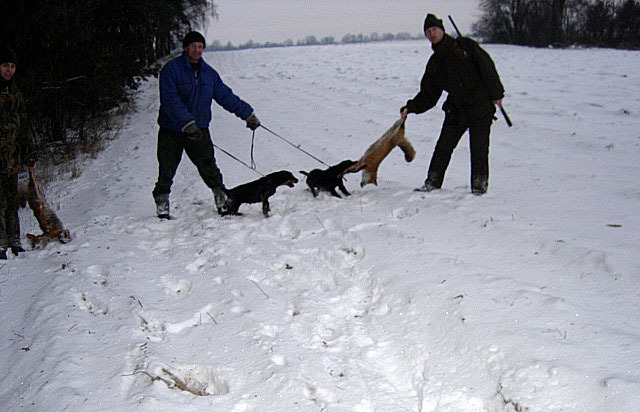 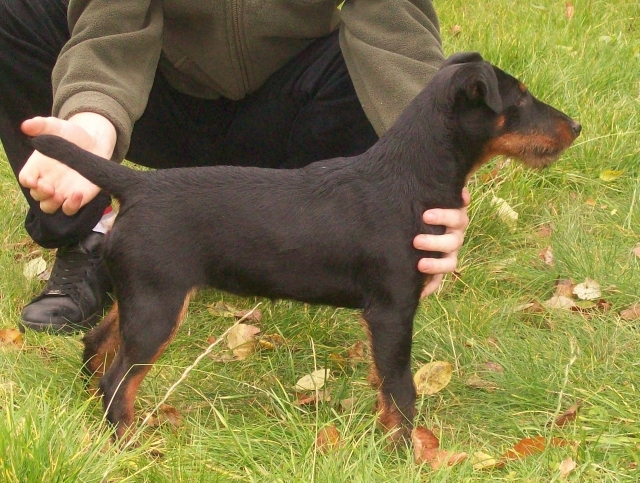 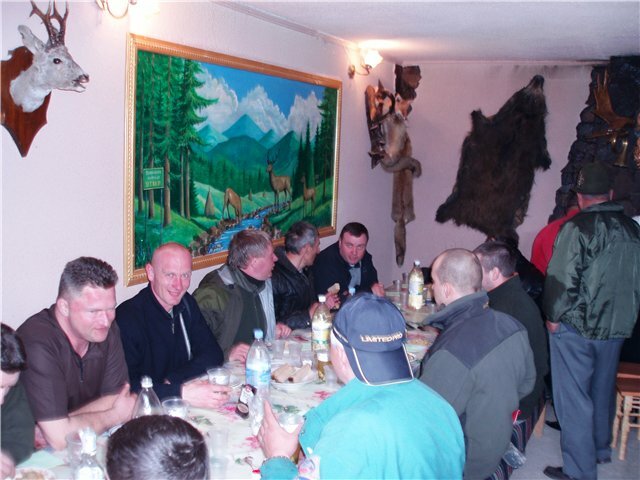 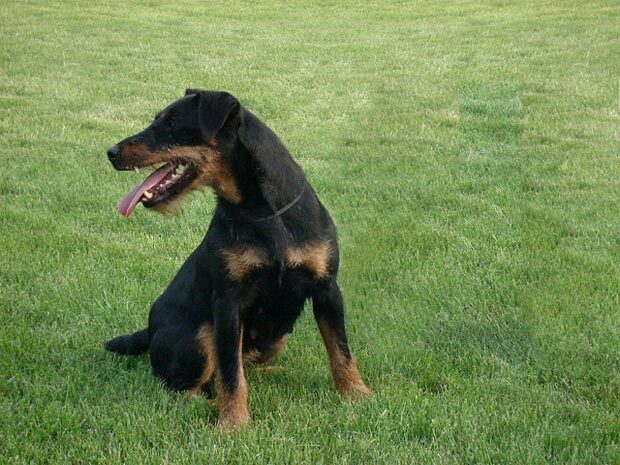 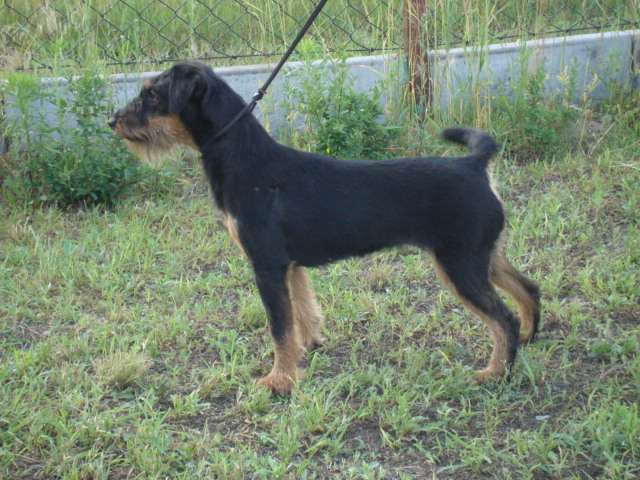 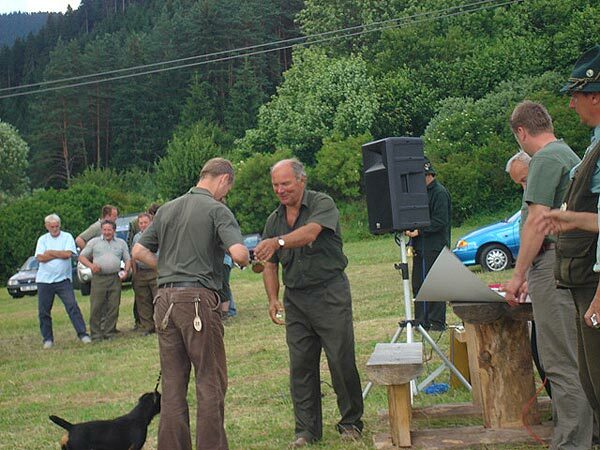 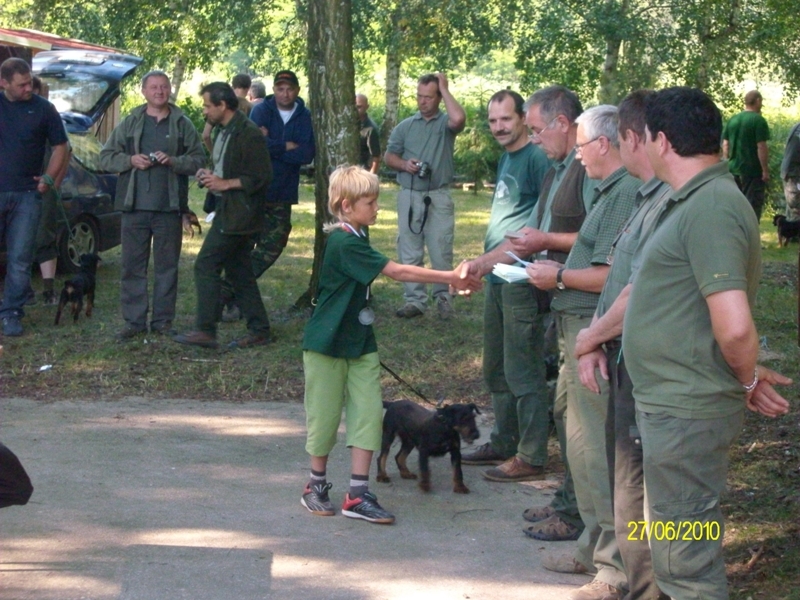 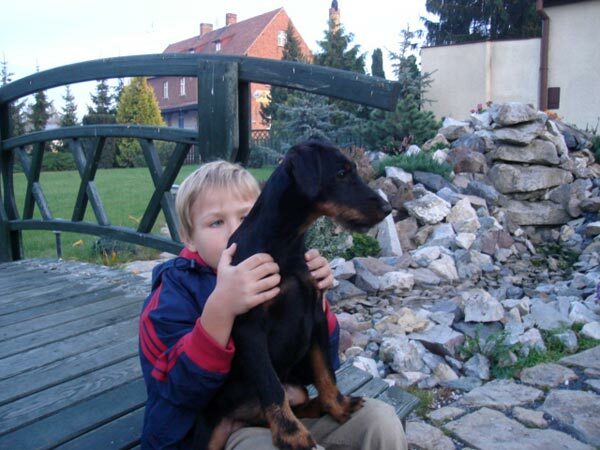 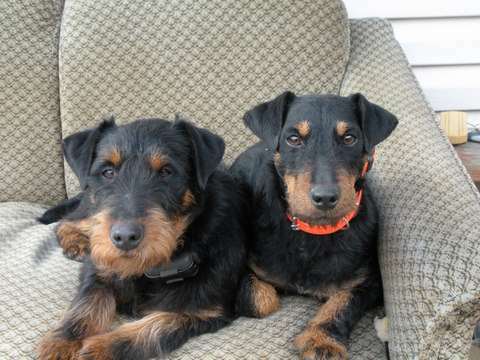 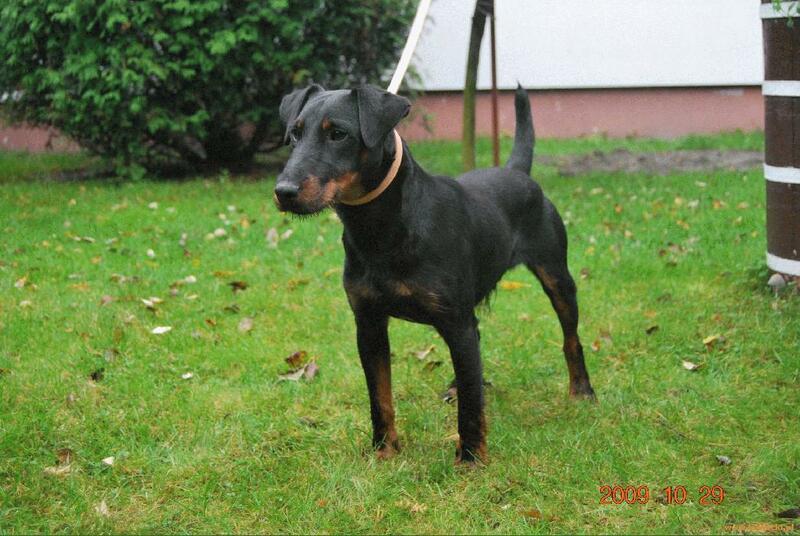 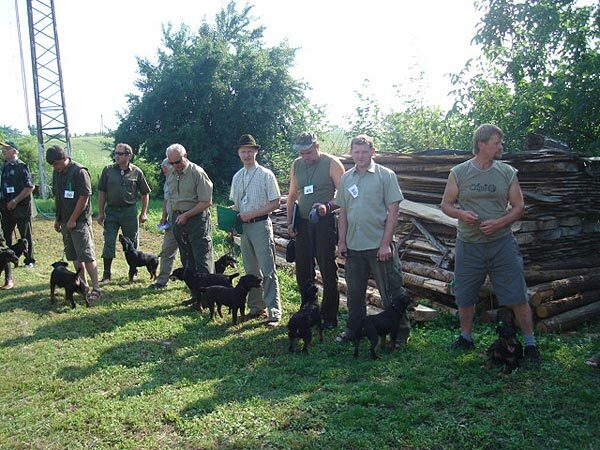 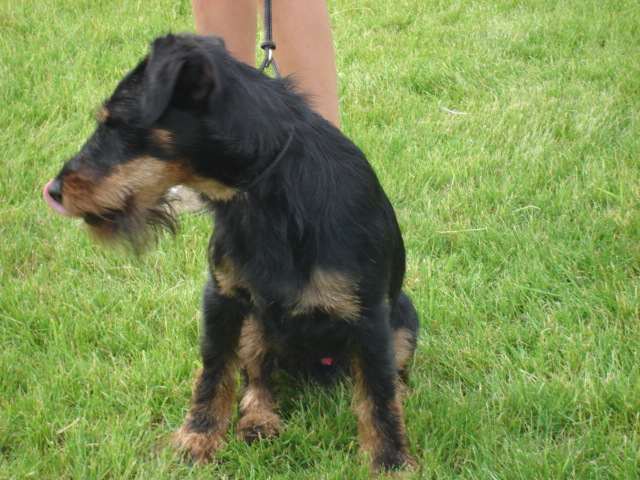 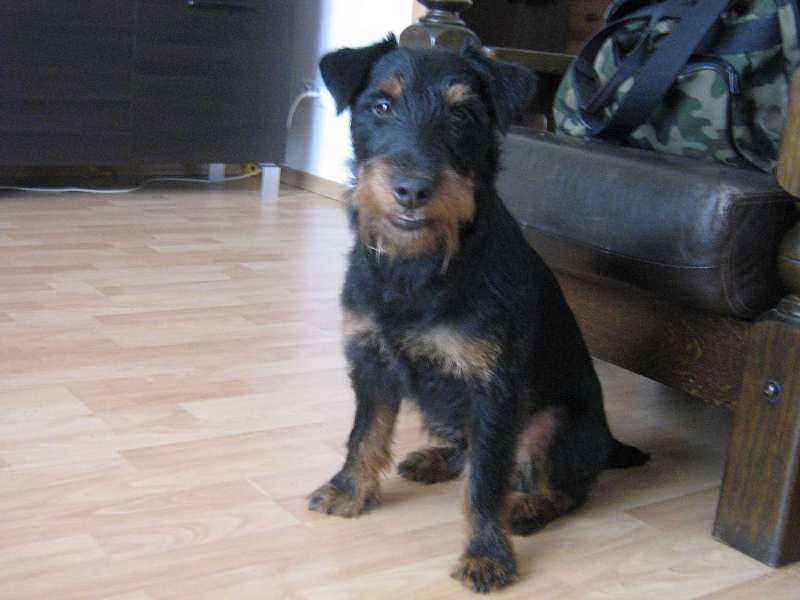 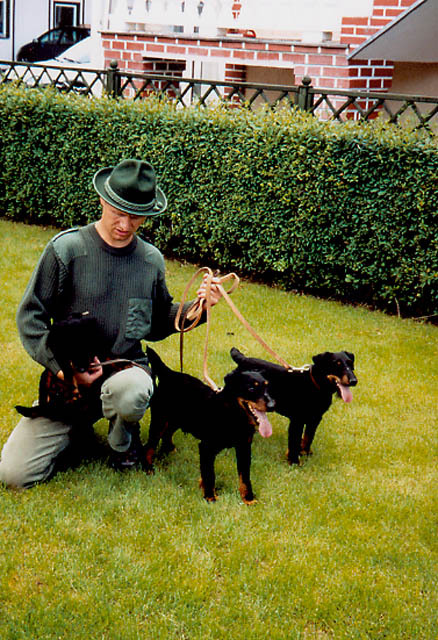 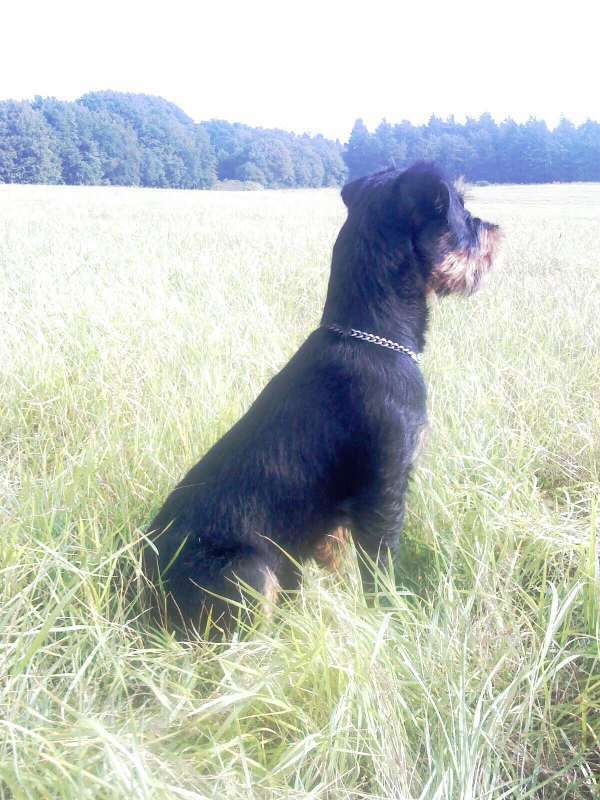 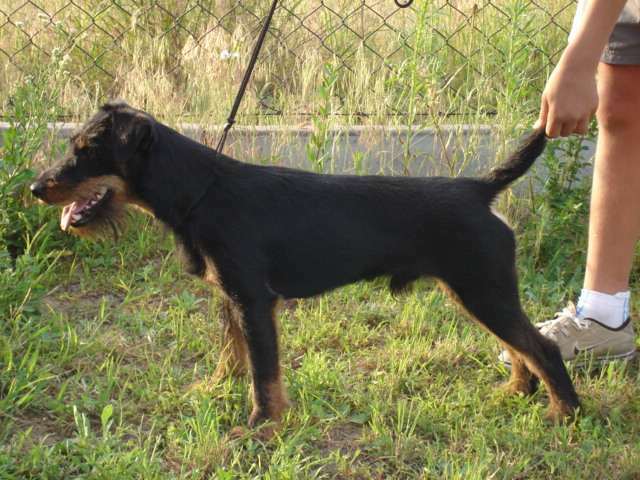 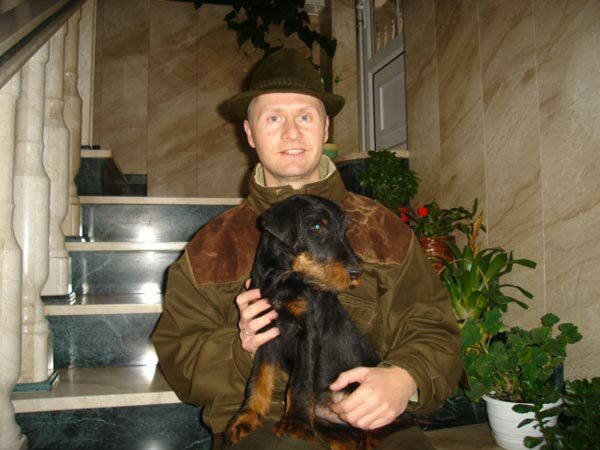 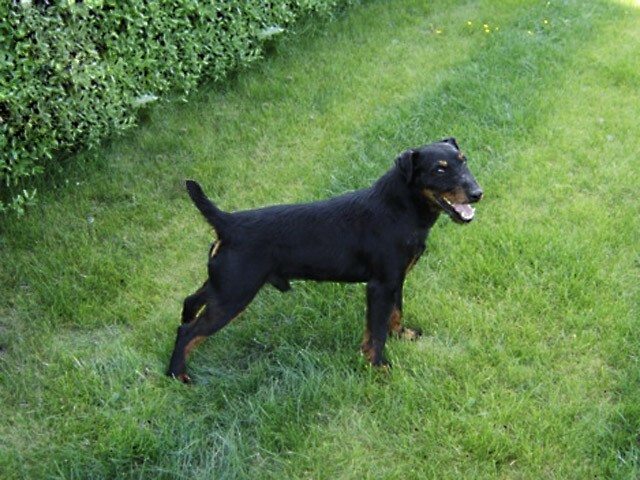 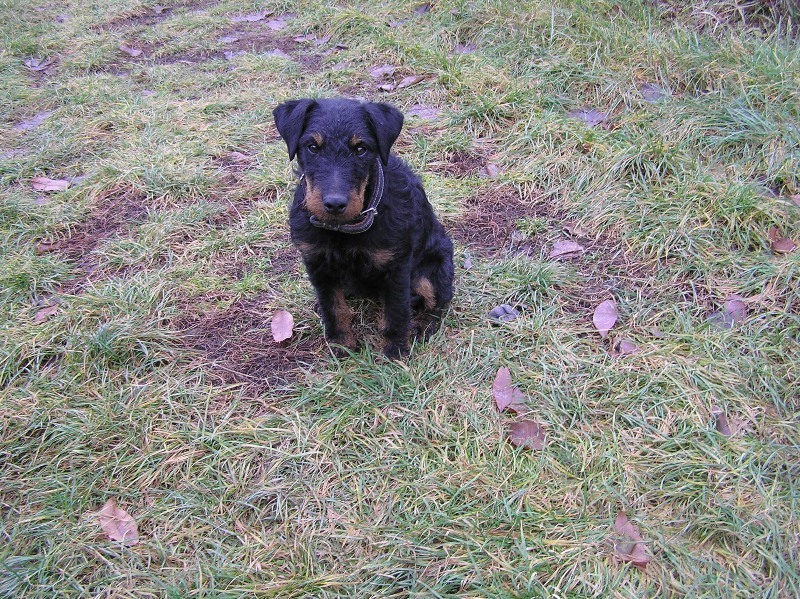 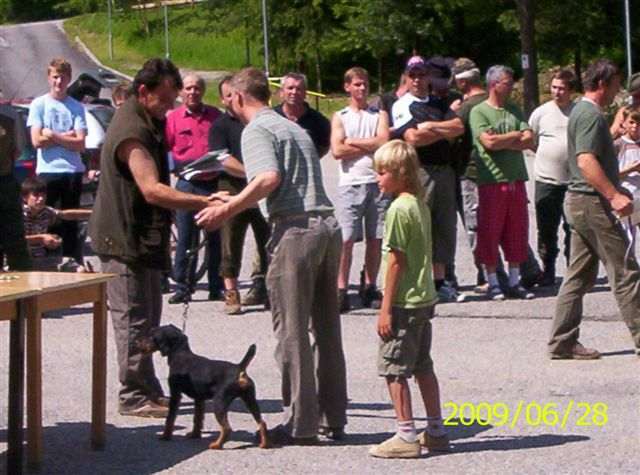 The International Earthdogs Competition for German Hunting Terrier in Ludanice in Slovakia in 2006(I stand with NERO od Imbergera fourth on the right side. 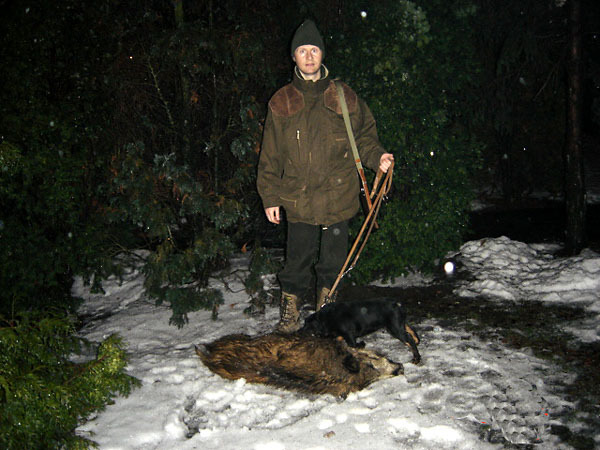 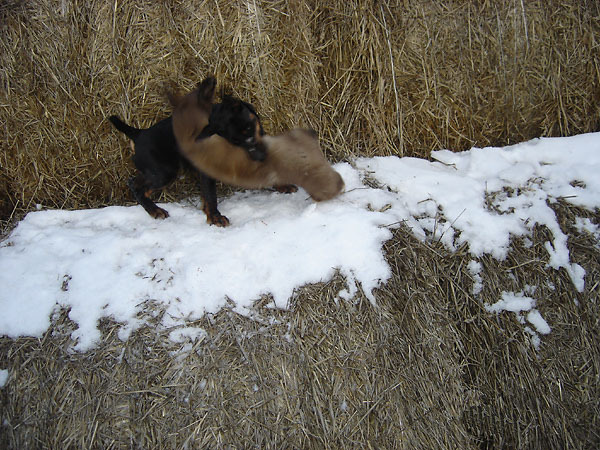 Windrow after the hunt in the New Years Eve 2005, NERO’s od Imbergera and STELLA’s Rosada merit. 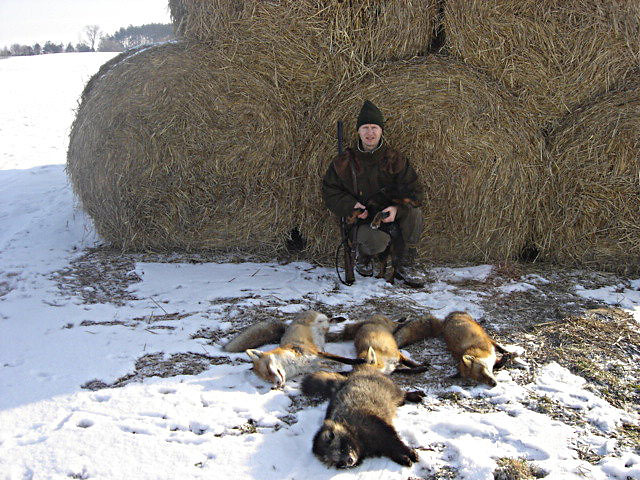 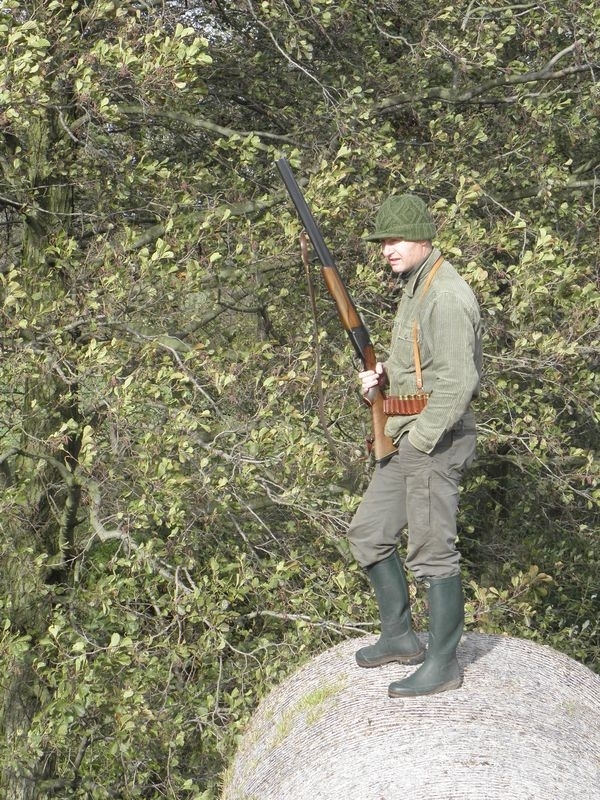 Marten shot up due to a great work of HESSY Vapec.